Orphek brings you exclusive pictures with the new Atlantik V4 spectrum! 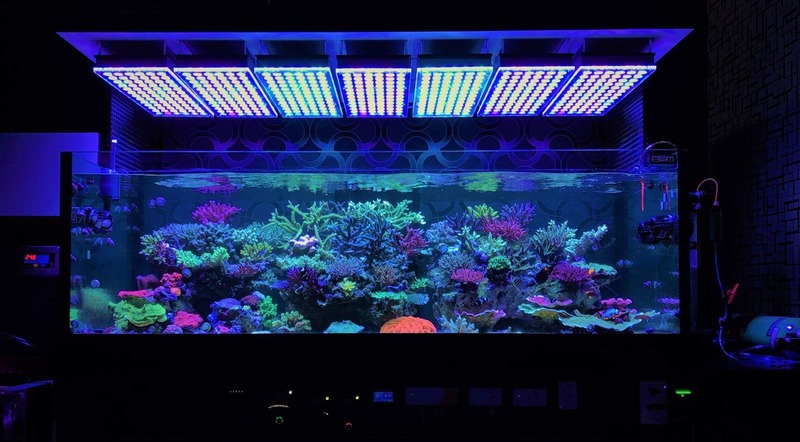 Last April we shared an amazing Japanese 400 gallon reef tank belonging to our friend and client Masahiro Kamya from Pacific-Japan Co.
Our trip to Japan gave us the opportunity to meet him and his adorable wife in person and discuss the upgrade of his tank from our previous Atlantik V3 Plus to our Atlantik V4 LED reef lights. 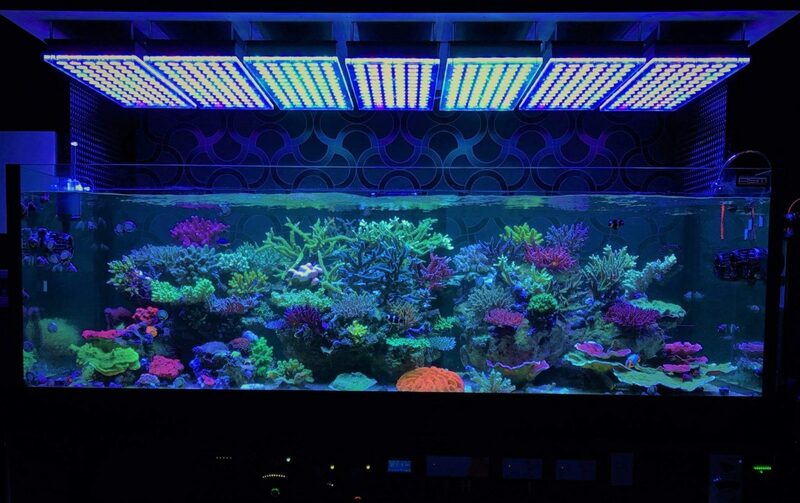 Masahiro started with V2 Orphek lights and has been upgrading since. If you click HERE you will find the beautiful photos and video that we have already displayed earlier this year. 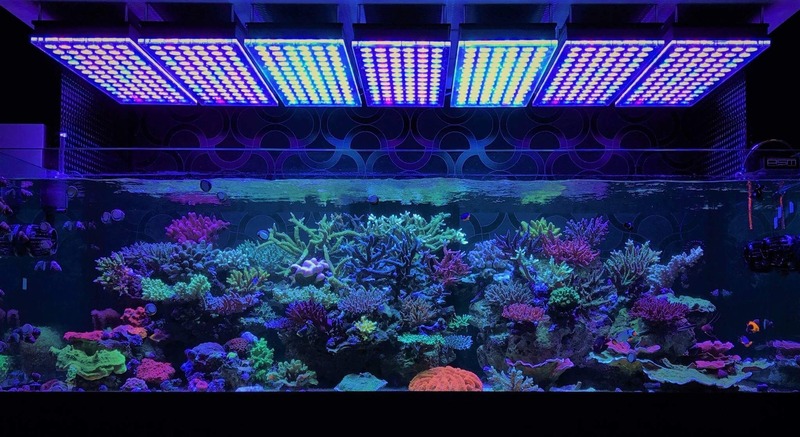 Today we are happy to share updated photos of his corals that are not only growing insanely, but also looking very healthy and colorful. Our new spectrum is also giving a more natural look to the tank. You will see here a series of pictures using different channels for different color results. Masa was also super kind to send us beautiful pictures of our lights, proving once again that Japanese people are indeed super cool! Pacific-Japan Co.ltd sells imported goods and wholesale products for saltwater aquariums to stores all over Japan. The company is located in Kariya city in central prefecture of Aichi. Provides the best: PAR/PUR per watt; Highest Spectrum output; and Highest efficiency power supply. 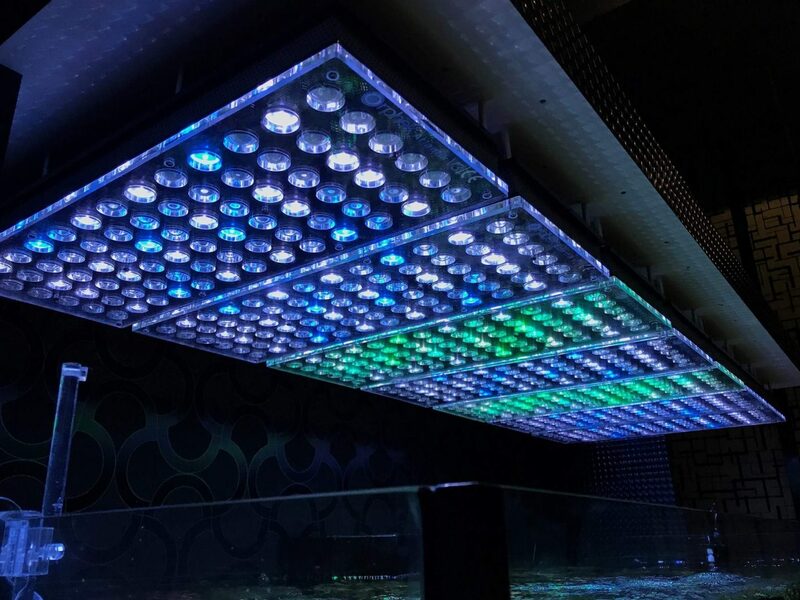 A LED fixture providing the lowest consumption Euro X watt. CHECK ATLANTIK V4 VERSATILITY AND WHAT IT CAN DO FOR YOU! Ability to program multiple Atlantiks individually, in groups or in unison. Eight pre-installed programs/ unlimited custom programs and group programming. Large storage with capacity for additional programs. Sunrise / Sunset Full dimming capacity in all channels, 0-100% with progressive dimming. 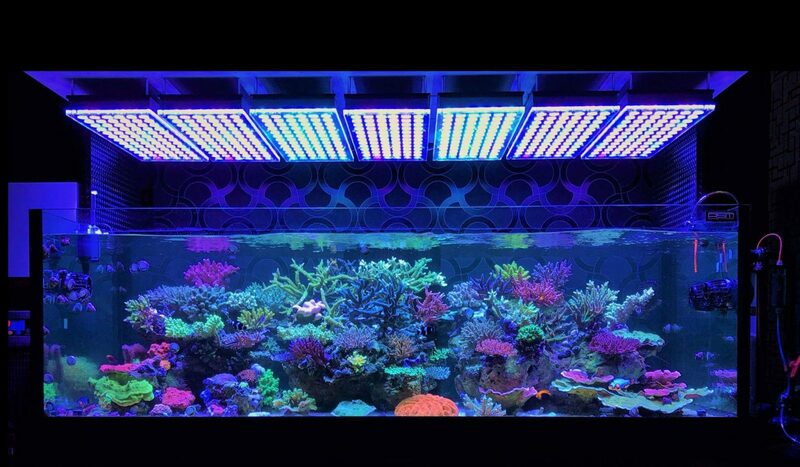 CHECK THE NEW SPECTRUM FOR OPTIMAL CORAL BEAUTY, GROWTH, COLOR & HEALTH! 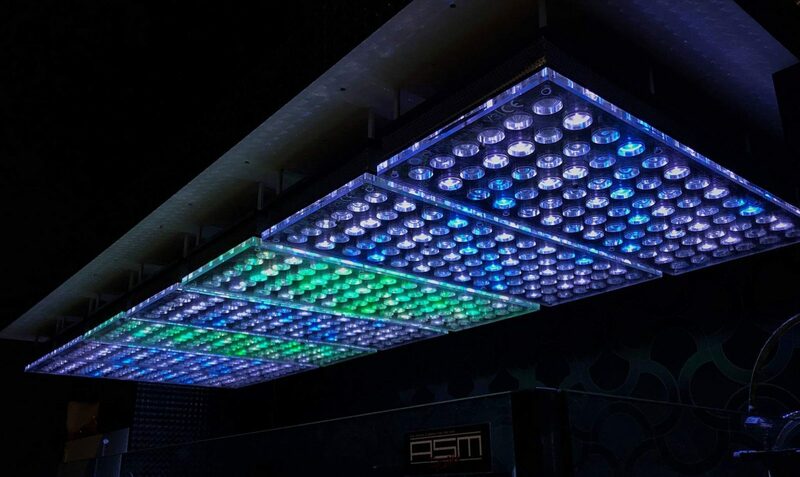 New 78 customized high efficiency 5w Dual-Chip power LEDs – total of 156 individual LEDs. New 16 different types of Dual chip wide range LEDs. 380nm UV to 850nm Infra red! New Spectrum for better coral growth, color and health. Four separate control and programming channels. Lens Options: Wide convex for tanks under 42” deep and 90 degree narrow for tanks over 48” deep.